Maybe you’re getting close to a certain age or you just want to ensure you have enough green to make your golden years really golden. Regardless, saving for retirement can seem daunting and confusing. You’ve probably already asked yourself, ‘Am I saving enough for retirement?‘ Fortunately, there are tools out there that can help make this process a lot easier. We live in the age of apps, my friends. The real question of the app age is, “are there any good apps for this.” The good news is, there are. The people of the finance world have made the tools that will help you to save for your retirement. Even better, we’ve gone through them to find the top retirement calculators that are worth your trouble. 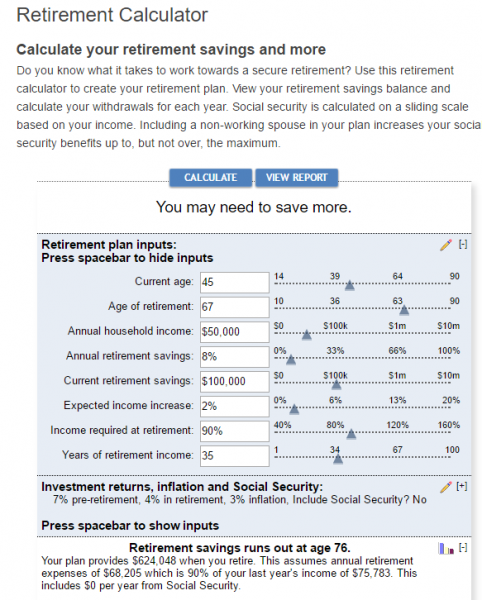 The folks over at Vanguard have set up an easy to use tool to help you calculate a basic plan for retiring on time. Just enter your age, income, current savings, and how much you plan on living off of in retirement and this app will let you know how much you need to save. 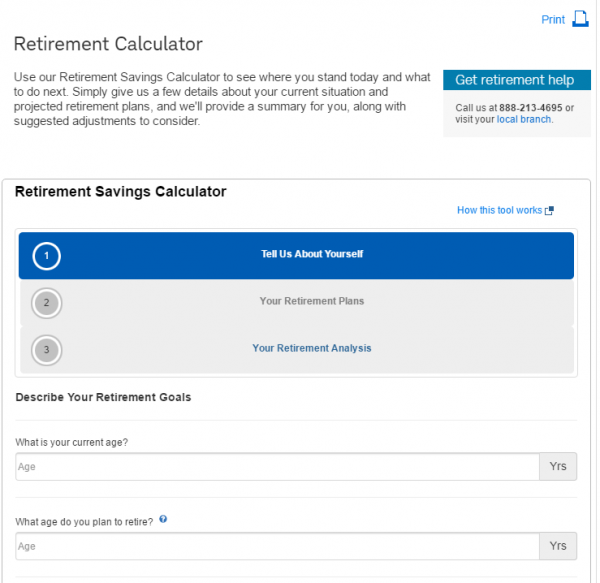 Charles Schwab’s retirement planning calculator is one of the best tools on the web for when you’re trying to plan your savings. While you’re over there, consider checking out the Charles Schwab Mortgage Calculator and the Charles Schwab Retirement Center for more solid advice on smart saving for retirement. Bankrate offers a collection of calculators for all the different financial decisions that you may need to make in your life. These calculators are rather spartan, but if you don’t want to muck around with guessing your current ROI on investments and just needs a quick and dirty calculation for retirement, Bankrate has you covered. The future is always in flux but these calculators can help you to set milestones, create achievable goals, and work towards that golden retirement.